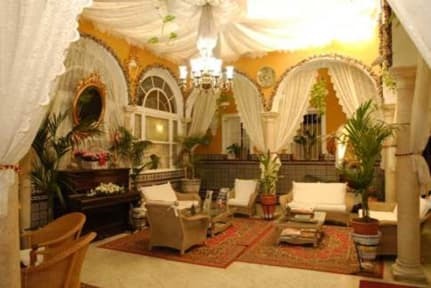 Located in the monumental centre of Seville in a seventeenth century palace. 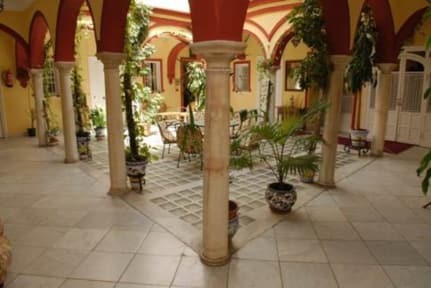 Recently restored and transformed into a hostal, nestled in the Santa Cruz neighbourhood among typical narrow streets. The hostal is only 150 meters away from the Cathedral with its Giralda (bell tower), the Alczar (Royal Palace), the Archives of the Indies and very near the Real Maestranza Bull Ring. Cancellation: The policy of cancellation of 2017 in Easter (from 9 to 16 April) and fair (from 1 to 7 May) both inclusive, is 14 days before, after this period of 14 days, the amount of the first night will not be refundable.